The Law Offices of Israel Collazo has been providing legal services to the Brockton, Massachusetts community for over 10 years. Attorney Collazo through the years has provided legal consultation in the areas of Massachusetts real estate law, bankruptcy law and family law with a sincere, personal touch to their clients.The Law Offices of Israel Collazo is a multi-lingual firm dedicated to providing the highest standard of legal representation to our valued clients.We recognize our responsibility to serve those who seek our advice and counsel and we do so with the utmost integrity and professionalism.We take pride in the pursuit of excellence, while being devoted to the needs and concerns of our clients. 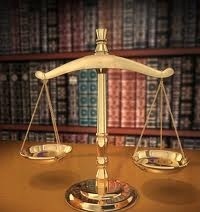 Our law firm is experienced in all aspects of real estate law. We represent purchasers and sellers of residential properties, including homes, condominiums and multi-family units.We counsel and protect our clients throughout each step of the complicated process of buying and selling their homes or other real property.During the negotiation and closing of residential matters, we are often called upon to advise our clients in mortgage financing, construction lending, foreclosure, buy outs and leasing arrangements. Our expertise in real estate transactions extend to matters including sales, acquisitions; development, construction, banking, leasing and joint ventures. We represent not only the buyers and sellers of residential homes, but also developers, builders, lending institutions, landlords and corporations in all aspects of commercial, office, industrial, and retail real estate matters. We offer one-on-one consultation with an accomplished lawyer and personal attention in each and every case, whether a Chapter 7 or Chapter 13 bankruptcy. This Law Firm offers an affordable Bankruptcy representation in order to assist families who are heavily in debt and facing foreclosure or wage garnishments. Foreclosure, credit card debt and wage garnishments are some of the main reasons why people file for bankruptcy. At its most basic level, bankruptcy is a means for honest, hardworking people to obtain relief from overwhelming debt. Some types of bankruptcy erase most debt altogether, while other types allow people and businesses to restructure their debt so they can make payments to their creditors while still making ends meet. We understand that making the decision to file is often one of last resort, but in reality, it's a choice that's a beginning rather than an end. Although not always an easy road, for many, it is the fastest path toward regaining a sense of financial freedom and stability. At the Law Offices of Israel Collazo, we're looking to help you find the simplest, least painful way out of a difficult situation. With over 10 years combined experience, we have the skills, experience, and compassion needed to help you succeed.